What is Part P and how does it relate to electricians? If you are looking to pursue a career as a domestic installer you will hopefully have heard about Part P and how it relates to electricians. The words “Part P” seem to stir up numerous conversations as generally people believe that if they have a Part P qualification they are able to sign off all their own electrical work. This is not the case at all and it is essentially the fault of the electrical industry misleading people with its own terminology and jargon. 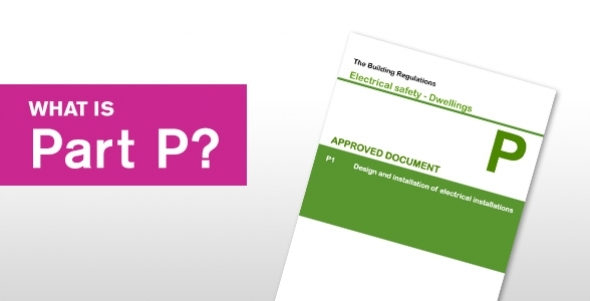 Part P has been shortened and the correct wording should be Building Regulations Approved Document P which was introduced on the 1st January 2005 and specifically relates to electrical safety within the home. Approved document P gives guidance on how to comply with the building regulations and is broken down into 3 sections. All electrical circuits must designed and installed to conform to the 17th Edition Wiring Regulations BS 7671 2008. What buildings Part P applies to and doesn’t and what electrical work is notifiable and isn’t. Who can certify the work to adhere with the Building regulations? Please see the latest Approved Document P by clicking on the following link. Part A – Structure: Size of notches and holes in roof and floor joists as well as the depth of chasing in the walls plus safety zones. Part B – Fire Safety: Provision for certain electrical installations such as fire detection systems and compartmentation. Part C – Site Preparation and resistance to moisture: When the outside of the building is penetrated ensure correct sealing and areas of the building with high humidity are adequately ventilated. Part E – Resistance to the passage of sound: electrical installations must not degrade the resistance to sound in the building. Part F – Ventilation: Types of ventilation systems and rates. Part J – Combustion Compliances: Specifically applies to the ventilation rates where combustion appliances are present. Part L – Conservation of Fuel and Power: Energy efficiency of equipment and fittings. Part M – Access to and Use of buildings: Height of accessories. Want to know more about Part P? Then take a look at our Part P of the Building Regulations Explained!